Pop Quiz: The Enemies Within America. Who Are They? Get out your biggest box of popcorn and pull up your most comfortable easy chair because the Janesville school administration cover-up exposed by a union representative while performing a routine check of school board candidate petitions just turned deeply political. According to this posting at the Janesville Community Facebook page, Janesville school District Board Commissioner Bill Sodemann has filed a Freedom of Information Request on Carla Quirk, a candidate for Janesville School Board. Apparently, because Quirk's nomination petition checked out OK, Sodemann views her as the whistleblower's candidate and therefore, the opposition. Whatever opposition he is opposing. It seems. From my perch, Sodemann's move also breaks the local ice that was beginning to stack up against the union rep, Dennis Hughes, who some have viewed, unfairly I must add, as an outsider looking to cause trouble in Janesville when he discovered two school candidate nomination petitions were improper. Now, Sodemann has turned Hughes discovery and report inward within Janesville's political power structures in school district and county government, perhaps as a diversion to remove scrutiny from Superintendent Karen Schulte or to further damage the whistleblower's integrity - or both. As part of his FOIA search request, Sodemann names names that read like the board roster of the Rock County Democratic Party. No known area republicans were on his target list. But because of Sodemann's one-sided partisan approach omitting republicans, any contacts Quirk may have had with republicans will be screened out from his FOIA inquiry. So much for seeking full disclosure. There is also a small but interesting parallel one could draw from Sodemann's attempt to squelch the whistleblower, to the defense used by the right-wing special interest, Club For Growth, against the state's investigation into Scott Walker's illegal campaign activities. Sodemann it would appear, is attempting to shut down "conservative" or "liberal" free speech by seeking the private emails of a public sector worker without just cause, as opposed to the mountains of evidence pointing to criminal activity from Walker's first John Doe investigation. No relationship of course, but an interesting note I thought worth mentioning. Whatever his deeper intentions, Sodemann's actions appear first as a vindictive political retaliatory strike against the union rep's recent discovery of obstruction and possible cover-up at school administrative offices and not as some random citizen's inquiry to keep things honest as written up by the Janesville Gazette. That's not all. In what appears as the second leg of the district's two-pronged approach to further degrade the whistleblower, the clerk who originally accepted the nomination papers of the four candidates running for the school board, only to have two rejected later after thorough inspection, has filed a restraining order against the representative. The Janesville school board will hold a regular meeting this Tuesday night. The union representative plans to attend and hopes the board will address Superintendent Schulte's executive involvement and conduct in the apparent cover-up. This could get more interesting. Personally, I find the school board commissioner's and the clerk's action reflexive of the state's top-down divisiveness and regressive direction set by none other than Gov. Scott Walker. Wisconsin missed a great opportunity in November to turn the page on Scott Walker and rid itself of his cynical punitive style of "collaboration." Instead, we have political cold war tactics digging itself deeper in Wisconsin communities for the long term. Gee, Democrats. You Had To Save Republicans From Themselves? A fundraiser for Wisconsin Assembly Republicans scheduled for Wednesday evening was canceled Wednesday afternoon after Democrats noted the event violated the lawmaking body's rules. The Republican Assembly Campaign Committee was set to hold a "speed networking" fundraiser scheduled to begin at 5 p.m. at the Madison Concourse hotel, during which donors would be given brief one-on-one time to chat with lawmakers. Think speed dating, but with lobbyists and politicians. Knowing in advance state Republicans would be in violation of ethics rules had they proceeded, you had to play cop and couldn't keep it to yourselves until after 5 p.m. and then let the social media world know of your findings and filing with an actionable GAB complaint? You just know republicans would have done the same for you, especially since they threatened you with arrest when you went missing during the Act 10 ramming session in 2011. Sly Sylvester on the "The Right to Work For Less"
How so-called "Right to Work" Laws hurt unions and all working people. * NOTE: This is the 3rd Wednesday NOT 2nd Wed as we usually schedule!! The Janesville Gazette posted what I refer to as their editorial "follow-up" in their campaign to marginalize the AFSCME representative who recently discovered potentially disqualifying errors on school board candidates nominating petitions. This disturbing situation arose after an AFSCME Council 40 representative challenged the paperwork. That the union, which represents not teachers but support staff, sought to oust both candidates suggests it didn’t share their views on issues. They are correct that a disturbing situation arose "after" discovery of insufficient paperwork, but there's no proof the union sought to oust both candidates. But since when is making sure everyone is following the same rules become so scorned or labeled as politically motivated? What about the folks who follow the rules? Is it fair to them that their opponents nearly qualified without following the same standards? So why was the assistant board clerks "precision" different this time around? And, why was the union's reps apparent attention to details so scorned and rejected? Here they go again. They paint this as a problem started by the union. Apparently, it's the union rep's discovery and report of doctored and/or insufficient nomination petitions that is the problem - not the suspect petitions or the bizarre activity that followed to clean them up. The fact that the Gazette views the union rep's motivation as political conversely implies the strong possibility that they (the Gazette) are projecting political motivations of their own to shield those involved. At this point, it's not wrong to believe that the nominating petition infractions discovered and reported by the AFSCME Rep are indeed disqualifying, but minor and possibly even forgivable compared to the activity that followed from both the superintendent to block his effort and the Gazette's to marginalize his character, followed by a second effort by the Gazette to whitewash the superintendent's involvement in this story. To them, it's as if they did no wrong and it's this politically motivated absence-of-truth-in-reporting that is something we've seen in Janesville far too often. For people who continually refer to themselves as professionals, their role in this episode was unacceptable. When I first read the story about a union rep checking Janesville school board candidate nomination petitions and finding two petitions not meeting state statute requirements for the ballot, I was impressed. For one, it's good to know that someone is paying attention to candidate signature petitions for local elective offices. With the establishment press (Janesville Gazette) constantly running cover for the status norm, much is taken for granted and there are far too many unchecked unknowns going on in Janesville city government, school administration and county offices. But then a bomb fell. The Gazette posted an online story title the next day reporting that the union rep caused a big enough disturbance at school administration offices that police had to be called in to remove him. Then I thought, it figures. Why does it seem that after a union rep scores a touchdown ...he then spikes the ball, causes a commotion and gets kicked out of the game. But wait ...that is not what happened at all. According to the story as told by the Union Rep, Dennis Hughes, what began as a routine review of Janesville school board candidate petitions turned into an active conspiracy to deceive him with doctored documents and false statements, then malign him as a "safety" precaution and finally intimidate him with arrest. Whew! All THAT from checking a few local school board petitions? Well, unfortunately. Yes. I admit I was skeptical at first, but when I heard Hughes excitedly articulate his story during an interview with Yuri Rashkin and explain his observations with sound reasoning and a timeline, it all fell into place. In conclusion, the Union Rep believes that if Janesville School Superintendent Dr. Karen Schulte doesn't resign, she should be fired. Although the Hughes interview below is 45 minutes long, it is fast-moving and cram-packed with all sorts of interesting bits of information. So if you're concerned about what's going on with the folks running our school district - this one is for you. 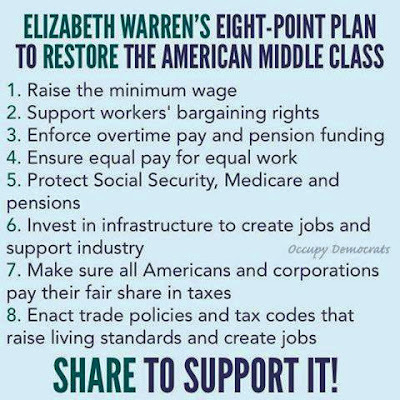 I saw this eight point plan to save the American middle-class floating around the intertubes and thought it was a great way to begin the dialogue. But I noticed there was no action of reform mentioned for Wall Street or about the imbalance between capital and labor. Below the panel are two more points I think are necessary to fill that void. 9. Reform the tax code by taxing capital instead of labor. 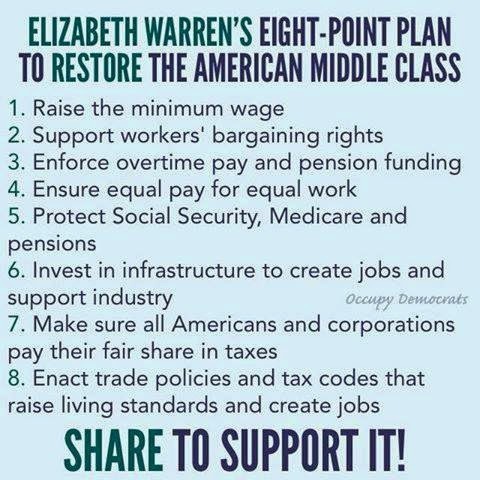 Do this in part by offering tax credits to all private sector hourly wage earners. These credits would be paid for with a tax on Wall Street transactions. In addition to raising the minimum wage, this reform will incentivize a stronger societal work ethic and increase participation in the labor force. 10. Permanently end all government bail-outs of Wall Street. (institutions) This will help foster the proper buyer-beware risk wariness necessary for competitive free markets to thrive in. Hunt down and prosecute the master minds behind any and all schemes to deleverage assets, cook the books or manipulate the markets. We need this debate and reform to win the 21st century. I'm telling ya, the folks just couldn't take it any longer. What, having an efficient, cost-effective and accountable-to-the-voters county coroner's office in place for 132 years was just too much for area partisans to handle back in 2010 when county voters mistakenly approved a non-binding advisory referendum to change the publicly elected coroner to an outsourced medical examiner position. But ...such is life. So we move "forward" to the consequences. Here's the story. Starting Jan. 5th, the Rock County Coroner's Office will no longer exist in its former capacity. Instead, Rock County taxpayers will be on the hook for $140,000 a year more over previous annual costs to outsource the office to Dane County. That's a 25% increase in just one year. Sweet, huh? Of course that's when everything settles down AFTER taxpayers absorb an additional one-time $30K start up fee to complete the transition. When someone asked, "who wants higher costs for coroner services in Rock County?" Area taxpayers said "We Do!!" followed by "Tax us moar!" But that's not all. In addition to the higher annual cost, Rock County will LOSE a mix of 17 full- and part-time jobs due to the change. More smiles and good news going forward!! And, that's not all. Outside of the fact that Rock County voters (even the jobless ones) will have lost control over the direction and accountability of the office, a majority of property tax dollars that otherwise would have supported good jobs for county residents will exit the county economy. But so what! More good news! 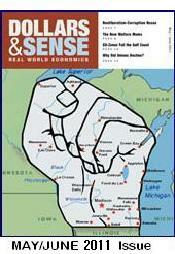 No offense meant to the fine folks in Dane County. Our loss is their gain. Obviously, keeping public service jobs in-county with our own tax dollars was never a top priority of our county "leaders." Seeing how wonderful this is, Rock County voters should now demand the dismantlement and outsourcing of all elective county offices. From the County Sheriff to the Treasurer, Clerk and so on. They've convinced me. I'm on board for that. After all, those offices face the same political scrum and low-cost accountability we all suffered through with the elected coroner's office, and we barely survived that 132 year run. PLUS we're on the road to red state prosperity with Right-To-Work for less regulations on the way, so we could easily shrug off the greater cost burdens associated with higher taxes on our soon to be shrunken paychecks. Ooops, I almost goofed. I meant to say even the folks at red state Forward Janesville think we must increase our taxpayer obligations, or else face an economic death spiral. In simple terms, we're loaded with cashola!! So let's do it! If fewer jobs, higher costs and less control are good for the coroners office, it's good for the rest of our local elective offices as well. Somehow I now feel cheated out of "forward" by the remaining county office holders. We've been settling for less and that ain't right.